ArtInfo shares highlights from Ryan McNamara's Performa Institute talk about his Commission, MEƎM: A Story Ballet about the Internet. Still thinking about Maria Hassabi's Premiere? Here are the Dance Enthusiast's impressions. Artlyst takes Peter and Andy Holden's Performa Institute class, "Lecture on Nesting". The Gallerist recounts feasting on Subodh Gupta's art. Benjamin Patterson in conversation with Interview Magazine about his iconic work and the legacy of Fluxus. Alexandre Singh talks to BOMBLOG about novels, narrative, and the challenges that face a visual artist in putting on a classical play. The New York Times reviews Maria Hassabi's Premiere. Pedro Reyes discusses his People's UN with The Huffington Post - from geo-engineering to the protein of the future. The Huffington Post delves into Agnieszka Kurant's alternate universe "where erased humans are given a second chance". ArtInfo has a surreal encounter at Bedwyr Williams's Break-In. The FT gives 5 stars to Rashid Johnson's Dutchman. "My first introduction to LeRoi Jones was when my mother used to read me the Dead Lecturer poems when I was a kid." Read the full interview here. "Knees shook and rubber-soled shoes squeaked with every effort to move more slowly than the body would allow." Read more here. "As the night went on, it became more difficult to tell who was a performer. There were many performers, but seemingly not many guests. Or were Mr. Fornieles's directives just that good?" Read more here. Subodh Gupta is cooking the “kind of food [you find] in your mother’s home” this week. Read about his sparkling "chandelier-like installation" and other Performa highlights on Businessweek. "The sizzling setting literalizes the play's searing sexual and racial tensions and invokes the atmosphere of the un-air-conditioned subway cars of the 1960s." Read the full feature here. "Playing PERFORMA 13 is an experimentation on sound collage; a brain cell working on Performance Art; a body feeling the performance pieces; a sound collapsing possible interpretations of a state of mind; analysis of selected productions or, when possible, interviews with artists and experts (or maybe just with passers-by)." "The installation guides visitors through a typically closed route of empty rooms and corridors across the building where past and present sounds of the postal service mechanisms and processes are performed, revealing the fascinating history of the spaces"
How might one go about “collecting” performance art? "Find an idea that you love, and hold onto it." - RoseLee Goldberg in conversation with Opening Ceremony about all things performance and Performa. But of course, we recommend everything! Stop by the Hub at 13 Crosby St for personalized suggestions throughout the Biennial. See The Daily Beast list here. Rainer Ganahl talked politics through fashion at White Columns this week. Read about it on the Gallerist and head over to Oak blog for images. "The performance-installation-Polish-kids-bedroom thing promises to change daily and be really, really loud." Don't miss a single image, event or tweet this Biennial! Follow along on The Huffington Post's Performa 13 live blog for the latest on everything Performa. Did you miss the bus for Philippe Quesne’s Bivouac last weekend? Not sure who to see at Performa 13? Artspace rounds up their 11 favorite artists to watch. The Performa Institute is now open at the Hub with an exciting lineup of artist classes, talks and experiments. The WSJ's Performa 13 picks each feature elements of surprise. "The storm serves as metaphor for the chaotic and impermanent world we live in." Opening night? The artists? The Hub? ARC Magazine gives a full overview of who's who and what's what at Performa 13. BlackBook's biennial recommendations are here to "help you whittle down the offerings from [Performa's] ample buffet of performance art." 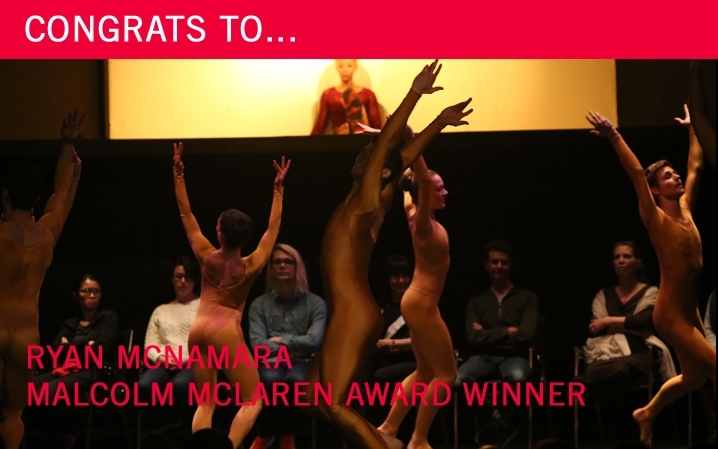 See images from Performa's spectacular opening night celebration. From John Zorn's attic to Ryan McNamara's YouTube views, The New Yorker delves into New York City's rich history of performance. Joan Jonas discusses politics, poetry, performance and process with The Huffington Post. Performa is almost here! Get ready for the biennial with these news items from around the web. Our friends at the Witte de With will premiere The Humans by Performa Commission artist Alexandre Singh. Great review of Radical Presence at The Studio Museum in Harlem and Grey Art Gallery! Catch it and get ready for the live performances that will be part of our "biennial performance extravaganza"
Rule #1: Art history, art history, art history!